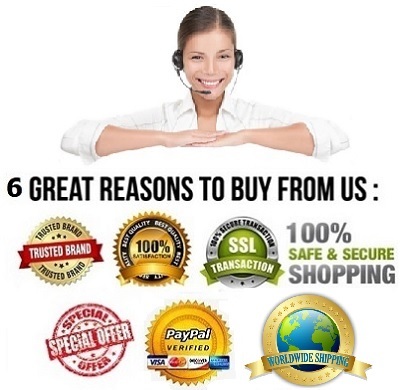 Write or Read 7 reviews. 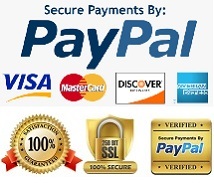 1-Day Acuvue Define Vivid cosmetic contact lenses. A dark brown ring with soft brown spokes defines the natural pattern of the iris making your eyes appear larger and vibrant. 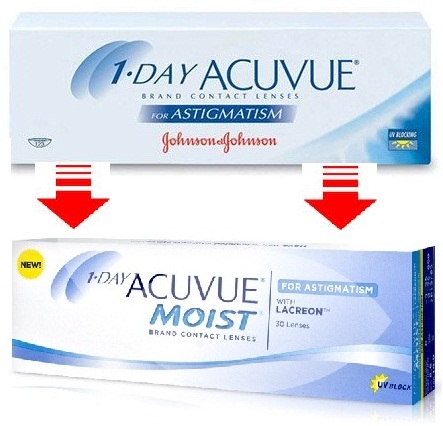 1 • DAY ACUVUE® DEFINE™ cosmetic contact lenses makes your eyes look bigger, brighter and more beautiful so subtly and naturally that nobody will know your secret. The delicate brown spokes in 1 - DAY ACUVUE® DEFINE™ Vivid Style defines the natural pattern of the iris, for a much livelier you. 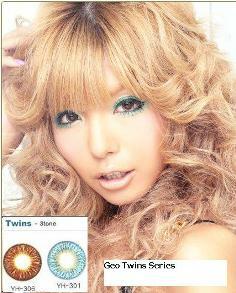 It gives you bigger and more vibrant eyes, creating a more expressive look. Part of the dark Borwn ring sits on the white limbal part of eyes hence making the eyes look bigger. 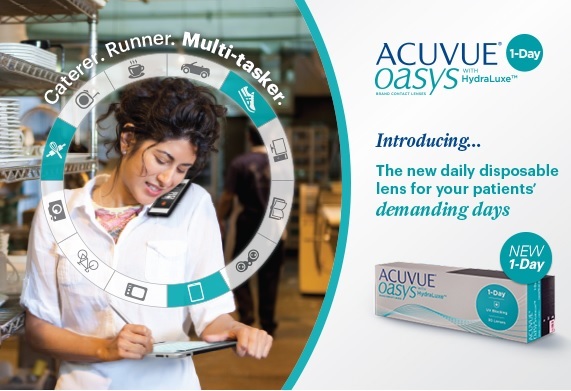 With the average asian Horizontal Visible Iris Diameter being 11.2mm*, the outer diameter of 1-DAY ACUVUE® DEFINE™ was designed to be 12.8mm thus enlarging the eyes. 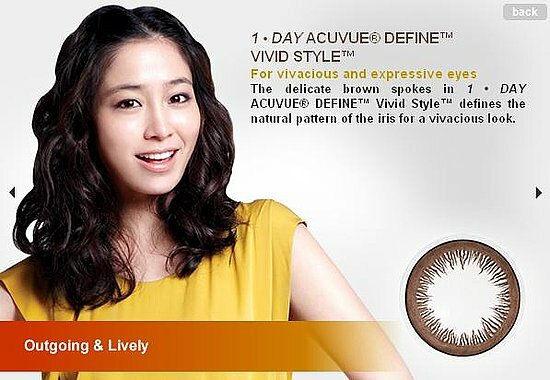 1 • DAY ACUVUE® DEFINE™ Vivid Style defines the natural pattern of the iris, for a much livelier you. 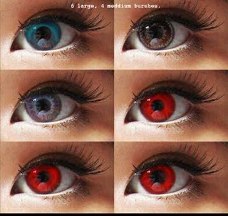 It gives you bigger and more vibrant eyes, creating a more expressive look. Buy Your 1-Day ACUVUE® DEFINE™ Vivid Style Now ! Absolutely love the subtle brown enhancements these lenses give your eyes. Comfort wise, these are relatively comfortable, with me being able to wear for sometimes up to 8 hours straight with no issues other than the mild dryness at times but it is still cool..
overall : highly recommended !! 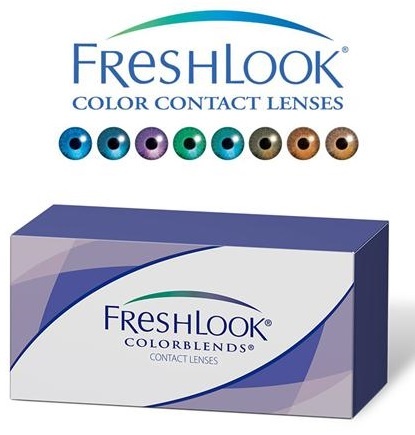 I really did like these lenses- unfortunately in my case, I had pollen allergies the first day I tried them and the lenses had trouble really suctioning for one day. But once my allergies were gone, the fit was perfect and the lenses looked very pretty, shiny and quite natural. And I did really need eye drops to hydrate these - they were good all day. Vivid was so good, I just put my order in to try Natural Shine next. 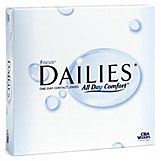 I can always count on 1 day acuvue define vivid to give me a comfortable days, everyday. I have dry eyes hence the lens need to be adaptable to my eye condition , so far 1-day acuvue define vivid works very well and i love it ! 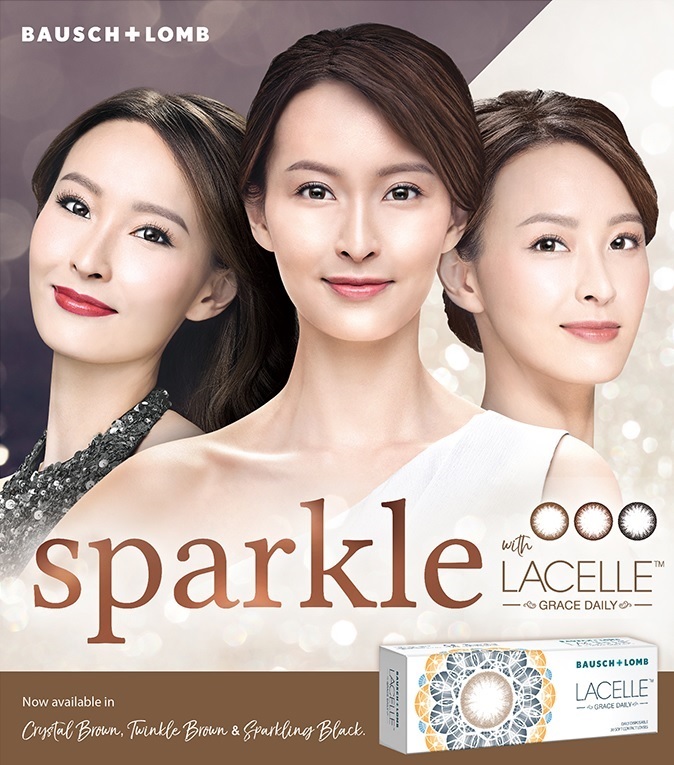 Super comfortable and at the same time enhances my eye brillantly. 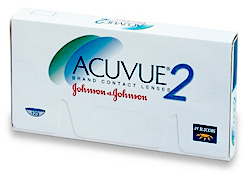 I really love 1-day acuvue define vivid.